Sometimes called "Heavenly Bamboo," nandina isn't a bamboo at all but a handsome, fine-textured shrub that turns bright red in winter. 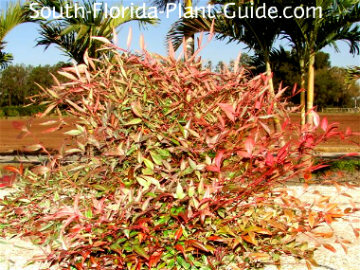 This is one of the few garden shrubs in South Florida that feature a distinctive winter color change. When weather is cold, the leaves turn red if the plant is grown in sun, mixing the red with green foliage for a very striking look. And new growth in any light is tinged with a rosy color. The lacy look of bamboo - with small delicate leaves, an airy, upright form and cane-like stems - have earned this plant its common names of heavenly bamboo and sacred bamboo. Planting one by the front entrance is supposed to bring good luck. In Japan it's known as the Friendly Plant and is often placed by a door to welcome visitors. It will bloom with pinkish-white blossoms in spring, and after flowering produces bright red berry clusters. 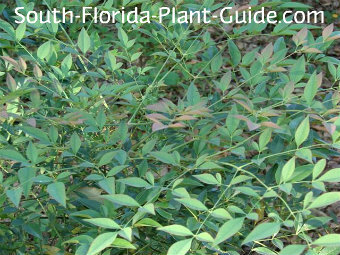 Of all the berry bushes in South Florida, nandina berries are some of the showiest and if you plant this shrub in groups they'll fruit more heavily. This is a plant that works anywhere. It can add a softening touch to formal, more manicured landscaping or a fine texture to a tropical garden or casual eclectic style. 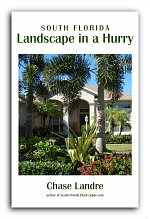 It's especially effective in Oriental-garden style landscaping - a great way to landscape a very modern home. And the fact that it's low-maintenance and takes sun or shade makes this shrub even more versatile. Additionally, it's considered deer-resistant (though we make no promises). There are dwarf nandina varieties if you'd prefer a smaller plant. 'Compacta' can be kept about 3 feet and 'Firepower' around 2 feet tall. This evergreen shrub can be kept 4 to 6 feet tall, though you can let it grow to 10 feet if you prefer. It's cold hardy and does well anywhere in South Florida. Cut back about 1/3 of older stalks down to about 12 to 15 inches from the ground. Cut another 1/3 about 6 or 8 inches from the top. Leave the last 1/3 uncut. This way new growth will sprout at different levels. You may be removing blossoms or berries when you cut, but the shrub will look prettier and more lush. Depending on how often it really needs it, you may want to do this type of pruning every other year. You can simplify things by just cutting the oldest, tall stalks back at varying heights. Another plant to cut this way is Texas Sage. It grows at a slow to moderate pace in full sun to full shade. More sun will speed up the growth rate a bit and encourages more flowers and stronger winter foliage color. Add top soil or organic peat moss to the hole when you plant. You can also add in composted cow manure to enrich the soil around the plant's rootball. Nandina is not a shrub that should be sheared and shaped with hedge trimmers. And since these shrubs aren't fast growers, trimming is unnecessary until the shrubs are established. Once the shrub has begun to mature, prune in spring, cutting back shoots at varying levels to encourage the plant to fill out more fully. If you don't do this, the plant can become leggy and less attractive. Water on a regular basis but make sure the area drains well. Fertilize 3 times a year - in spring, summer and autumn - with a quality granular fertilizer. Plant 3 feet apart. Come away from the house about 3 feet. If planting along a walk or drive, come in 3 or 4 feet. This plant works very well as a container plant. COMPANION PLANT SUGGESTIONS: In sun, try jatropha, juniper, variegated pittisporum, bush allamanda, cocoplum, and Maui ixora. In a bit more shade, consider selloum philodendron, pinwheel jasmine, firespike, variegated ginger and croton. 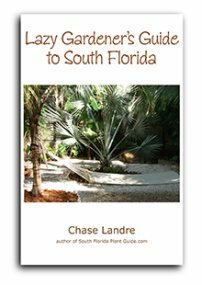 My LATEST ebooks are here! 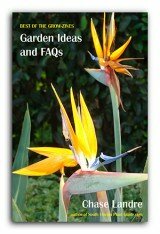 Garden inspirations & solutions from past issues of our popular monthly newsletter - The Grow-zine!